5 labels included for marking contents of drawers. Slots for label on each drawer so you can easily keep things organized and easily find what you are looking for. 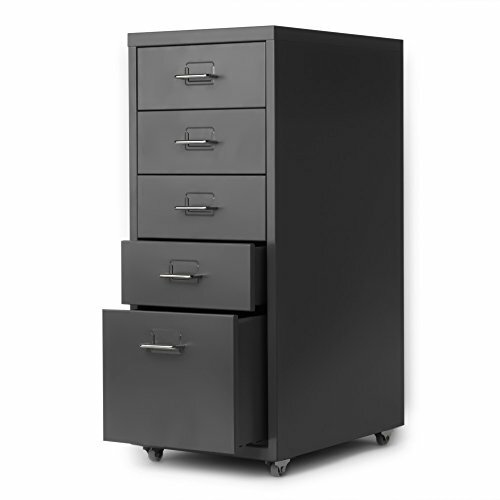 Vertical file cabinet with 5 metal drawers, large space. Sliding suspension in smooth and quiet drawer performance. Chrome plated handle, smooth, anti-corrosion, and durable for your frequent use. Width: 11", depth: 16.1", height:27.2".